WESTBROOK — Superintendent Peter Lancia’s proposed 2019-2020 school year budget of $41.2 million represents a $2.6 million, or 6.8 percent, increase over the current year’s spending plan. It assumes the costs of reduced-price lunch for qualifying students, boosts investment in school libraries and pays more to substitute teachers. “The budget is big. It’s got a hefty increase, but this is only the first draft. We will continue to look at this. There are some tentative figures in there, unfortunately,” Lancia said. The school board’s Finance Committee is reviewing the proposed budget department by department. On April 3, it will make its final recommendations before passing it on to the full School Committee for first reading. Second reading and the vote is scheduled for April 10. Tentative figures include the projection for health insurance costs, enrollment figures and the amount Westbrook is expected to get in general purpose aid from the state. Lancia has penciled in a $17.6 million contribution from the state – a $380,400 increase over this year’s aid. Lancia said the bulk of the budget increase is due to higher employee costs, which are projected to increase by $1.5 million, and debt service, which is set to go up by $662,000. As it stands now, taxpayers would be asked to foot $22.4 million of the school budget, a $1.9 million, or 9.7 percent, increase over the 2018-19 school year. This would result in a $1.06 increase to the tax rate and mean an additional $285 in taxes for the owner of a $250,000 home. In his budget letter to the City Council, Mayor Mike Sanphy made it clear he thought the increase was too much to bear. As in previous years, Lancia said he developed the budget with three focuses in mind: innovative teaching and learning, social and emotional health services and security and capital development. Lancia has proposed the district pay for all students who qualify for reduced lunch. That figure would be around $9,500 based on current enrollment. The idea, he said, would be to “pay for the kids who qualify for reduced lunch so they don’t have to pay whenever they eat school lunch.” To qualify students’ families must make between 130 percent and 185 percent of the federal poverty level. Lancia is proposing increasing the budget for library supplies by $18,000 in an effort to reinvest in the school libraries. “Over the years we have shortchanged the school libraries in favor of classroom libraries. This is an opportunity to change that focus,” he said. Classroom libraries, he said, are designed to have books that are tailored to that classroom and reading level, while school libraries are meant to appeal to a broad range of reading interests and levels and be a place to supplement classroom learning. “They are not just a place where books are stored. It’s a place where learning happens and kids can interact with each other,” Lancia said. Lancia said he would also like to create a special line item in the budget for special events at school libraries, such as author visits or artists in residence. Pay for substitute teachers would go up to attract talent and be more competitive with surrounding districts, he said. In a move that would need approval from the school board’s Policy Committee, Lancia would like to offer a pay scale based on level of education, experience and whether a substitute is a certified educator. Capital improvement items include replacing doors at Congin School; creating a vestibule at the front entrance of Canal School; adding additional security cameras, changing locks, repainting, and renovating bathrooms at the high school. Other requests include additional money for translation services, continuing varsity volleyball and the Jobs for Maine Graduates Program at the high school, a partnership with LearningWorks for three Americorp volunteers, two new school buses and a new van and funding for contract negotiations for administrators. Requests for additional staffing and other items were made, Lancia said, but he did not include them in his proposal. If funds become available, his first priority would be to hire additional custodians, an administrative assistant and assistant principal at Saccarappa School to handle the increase of students that will be attending the school in the fall. “The administrators have done a good job. 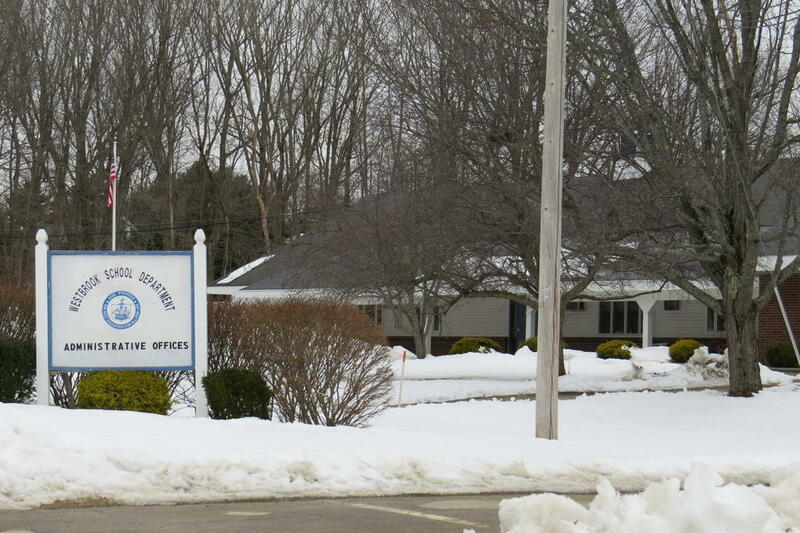 All the requests are valid, but at the same time, the School Committee has to do everything it can to support the schools, our students, but also to support the community” and its ability to pay, Lancia said. The school’s finance committee is working through a $41.2 million school budget proposal. The group is expected to have its recommendations finalized in time for a first reading on the budget Wednesday, April 3.